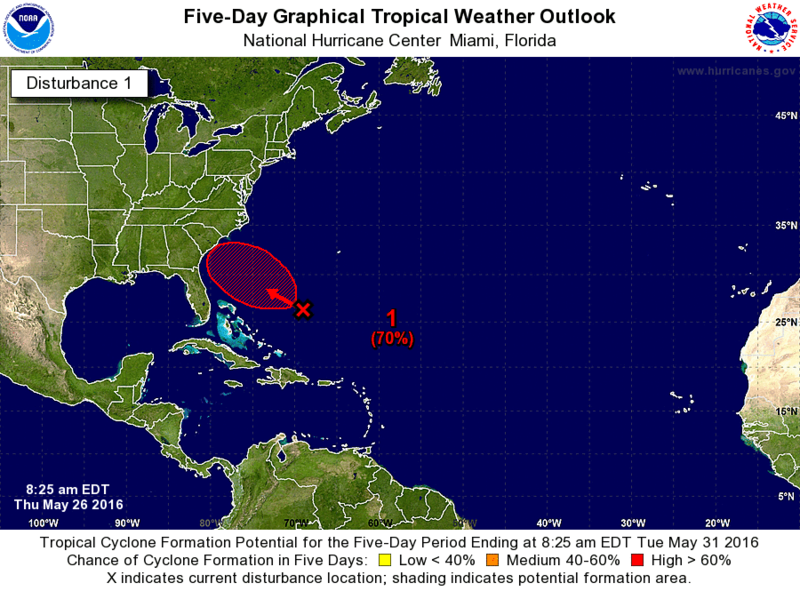 MIAMI, Florida -- NOAA's National Hurricane Center storm tracker in Miami, Florida has issued a Tropical Weather Outlook which predicts a high (70%) chance of an area of low pressure becoming a tropical cyclone by the 2016 Memorial Day weekend. 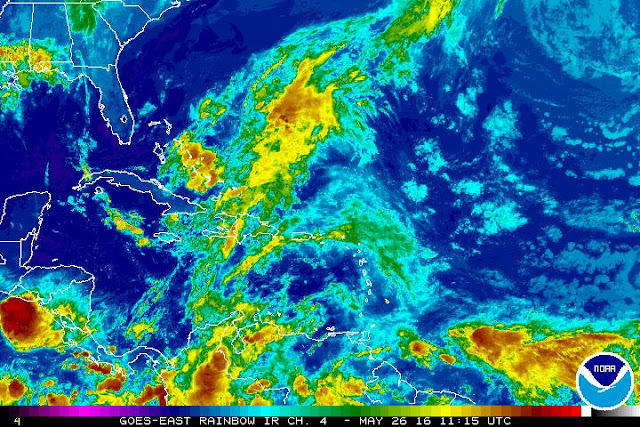 Cloudiness and showers located over the western Atlantic Ocean a few hundred miles northeast of the Bahamas that are associated with an area of low pressure are becoming better organized, according to satellite and surface observations. NOAA says that environmental conditions are expected to gradually become more conducive for development, and a tropical or subtropical cyclone could form on Friday or Saturday. The low is forecast to move slowly west-northwestward or northwestward and approach the southeastern United States over Memorial Day weekend. If a tropical storm does form, the next name on the 2016 Atlantic Hurricane Names list is Tropical Storm Bonnie. Most spaghetti models forecast that this system, named Invest 91L, will move near the South Carolina or North Carolina coasts by the weekend while staying far off Florida's east coast. 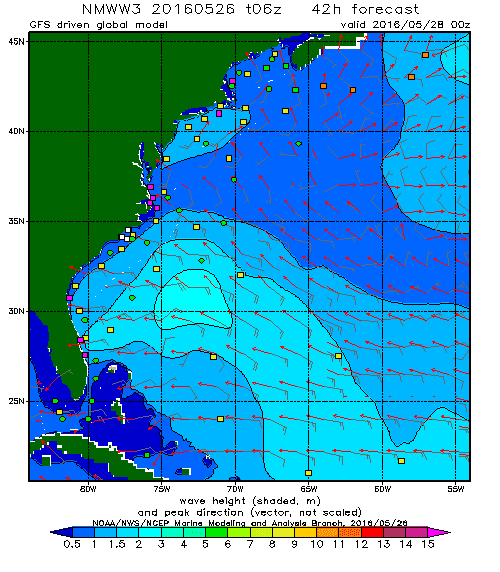 Regardless of tropical storm formation, Florida and the rest of the Southeastern United States will likely see increased wave heights for the surfers and an increased risk of rip current for beachgoers. Boaters will experience rougher seas and should monitor their local National Weather Service for the latest marine advisories.